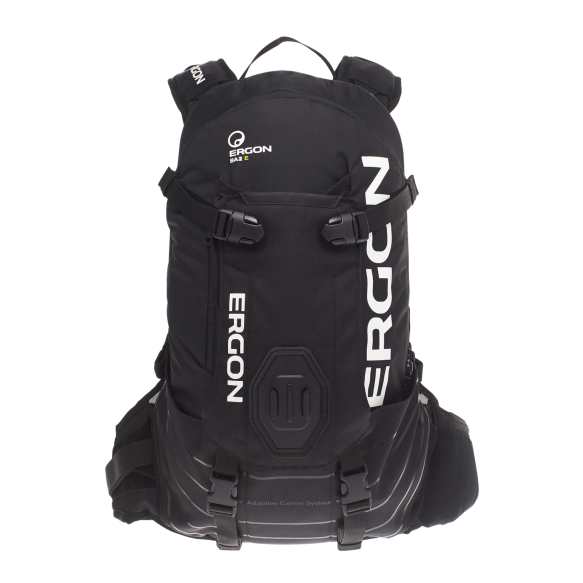 BA Backpack-Series The well-constructed Ergon Backpack for All-Mountain or E-MTB. We are expanding our backpack series with the BA2 / BA2 E, and building on the success of our popular BA3 All-Mountain model. In addition to being light and modern, it’s the thoughtful details that define the BA2. 10 liters of pack volume provide ample space for a change of clothes, rain gear, tools, spare parts and snacks. For ambitious riders it could even handle enough gear for an overnight stay, although the BA3, with its 15 + 2 liters, is probably the better choice. Both models are also available as E-MTB versions. In the “E” models, the main compartment features an integrated separate pocket for a replacement battery. 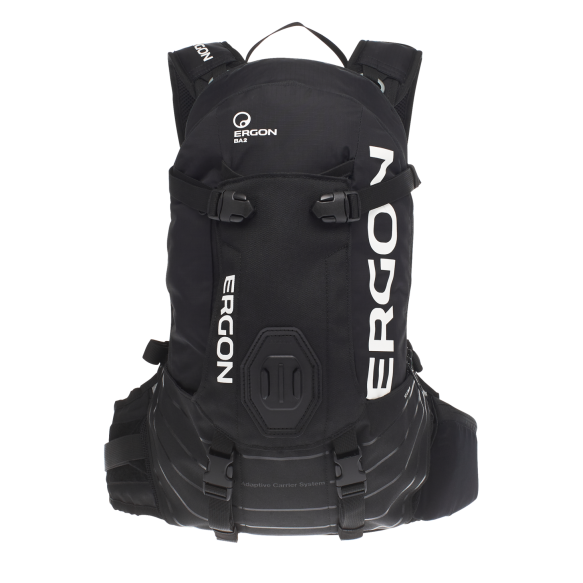 The compact BA2 All-Mountain backpack includes a fixed mount for action cams on the back. With the 4-step adjustable carrying system, back length can easily be adjusted between sizes S and XL to fit a wide variety of rider sizes and shapes. Thanks to the “Adaptive Carrier System” load compression feature and the flexible aluminum stabilization bar, the backpack can now be even more custom fit to the rider’s anatomy. The hip strap can also be shortened to a custom length based on the rider needs. 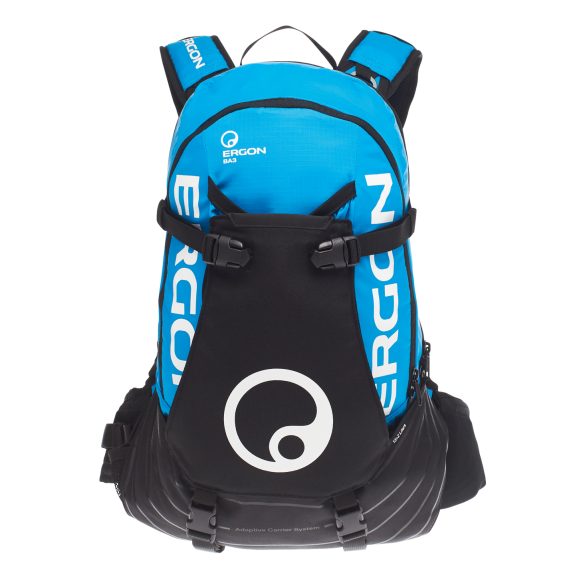 The pack contains a large main compartment with 4 inner pockets, a separate bladder sleeve, a front pocket, which includes a small compartment for tools and a pump, and a small waist pocket. The BA2’s additional back compart­ment offers room for the back protector (BP100) and a bladder (BH300). 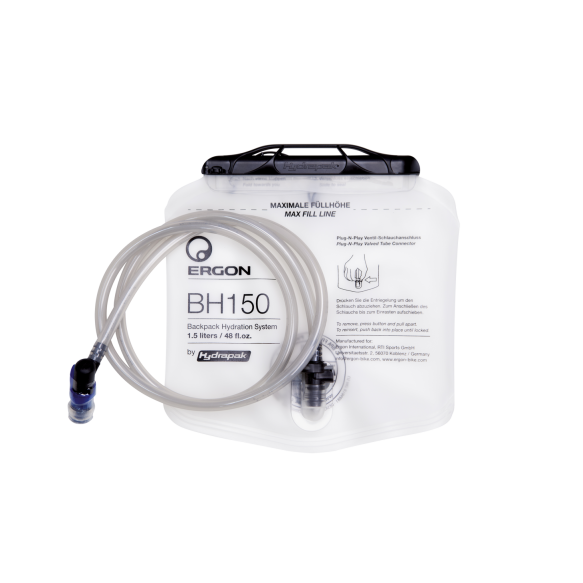 Even when carrying a spare battery in the BA2 E, the protector compartment still has enough room to accommodate the BP100 and the BH150 bladder. As an added bonus, there is a mount for the iPhone® Drybag from Topeak® on the shoulder strap. 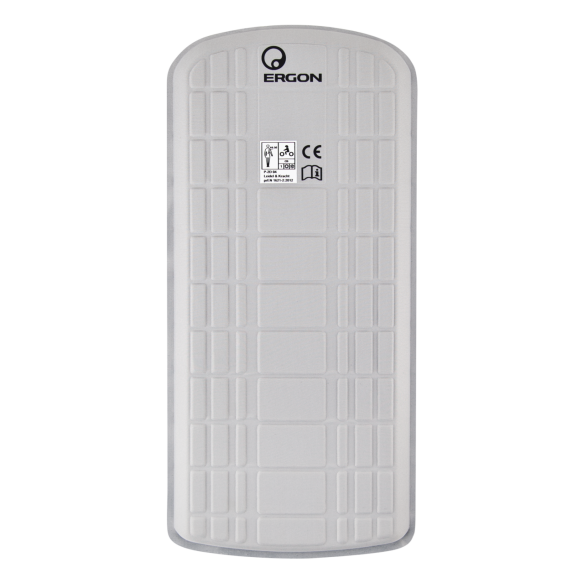 The Ergon BA2 / E includes safe secure storage for your spare E-MTB battery. This makes the backpack ideal for extra-long bike tours on an E-MTB. On the bike you’ll experience the perfect fit from the custom formed aluminum back plate and the sophisticated carrying system. The backpack can be quickly adjusted to four different lengths and fits snugly on any upper body (back lengths of 41 cm to 65 cm). The premium materials selected ensure superior comfort at all the contact points and provide effective ventilation of the riders back. With the help of our Pre Shaped Fit contact area, the back plate fits with ergonomic precision and can be easily fine-tuned. The carrying system of the BA2 / E and the BA3 / E Backpack consists of three functional areas. The articulating straps are attached to the backpack by metal D-rings that automatically adapt to the width and movement of the upper body. The D-Rings on the BA2 / BA3 allow the backpack to automatically fit and move unrestricted on the upper body. The backpack becomes one with the rider. It is barely noticeable and the contents of the backpack are tightly compressed. The shoulder straps are attached to the hip belt. 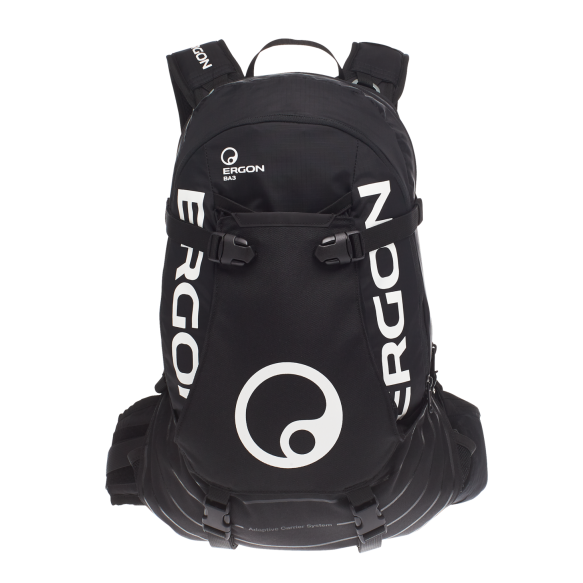 This allows a firm and effective connection of the backpack to the back. 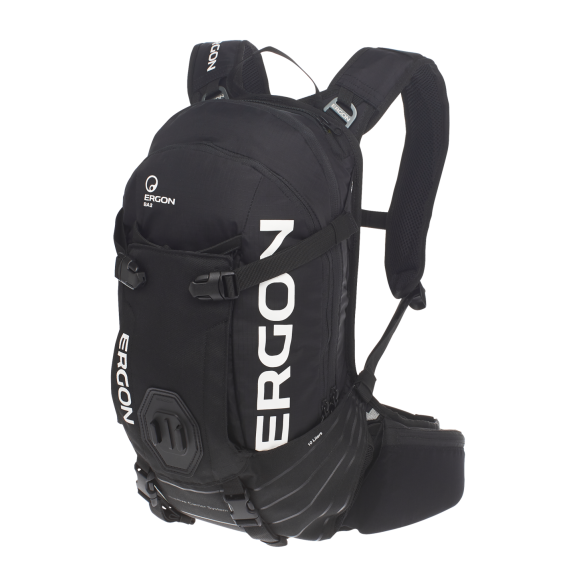 The backpack is connected by a hip belt, which prevents the shoulder straps from moving laterally in and around the chest area. Integrated within the hip belt: An easy access compartment for tools or sunglasses. Thanks to the unique 4-stage adjustable back-length system, every rider receives a custom fit for optimum carrying comfort. 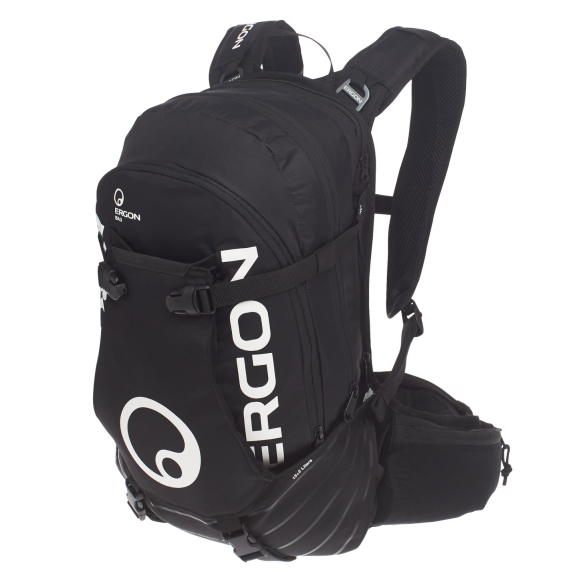 The 4-stage adjustable back-length system offers the user an individual fit and the corresponding carrying comfort. An action cam mount added to the BA2 properly films your bike colleagues and gives you new riding perspectives. Within the action-packed mountain bike segment users will love the BA2 because they can mount and use their action cam on the backpack’s flap. In addition, a second action cam can be used with the sports camera chest mount (sold separately) for forward and rear facing POV footage. The flap of the BA2 has a special integrated mount for action cams, which gives the possibility to film the rear perspective. With a completely reworked 4-step adjustable back length, the back section can be adjusted for a custom fit. 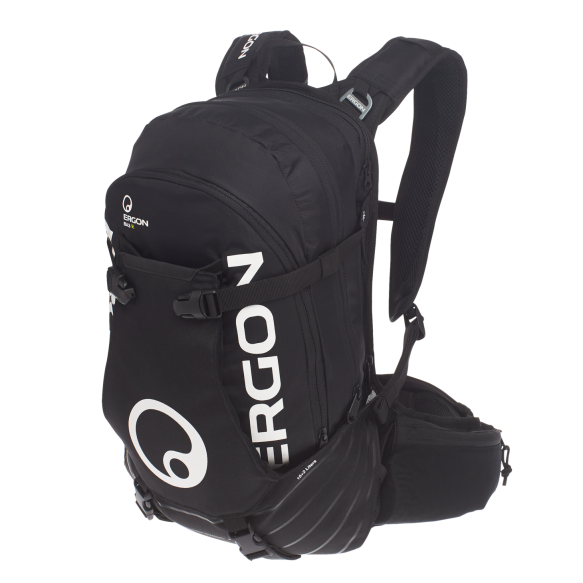 Ergon’s shoulder straps, with special load compression, ensure a stable connection to the lower part of the back. With conventional shoulder straps loads can be shifted while riding and the backpack becomes unstable. Secure external storage for a helmet and pads. 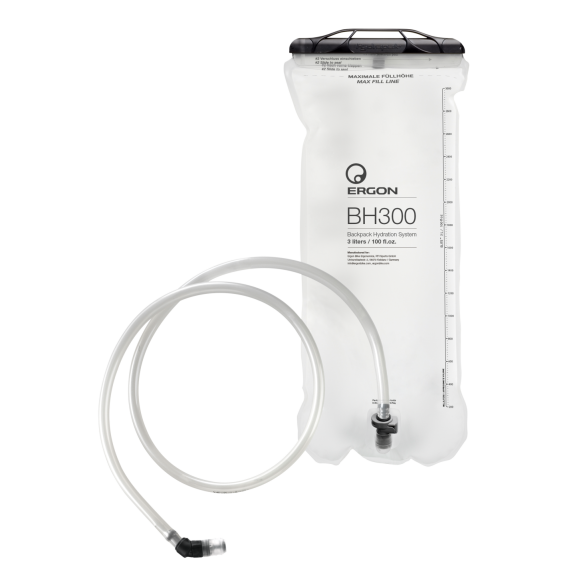 For riders that enjoy a good uphill fight, the Ergon BA2 / E and BA3 / E offer a secure helmet holder that fits both standard and full-face helmets. On long climbs, knee and elbow pads can be strapped under the backpack. 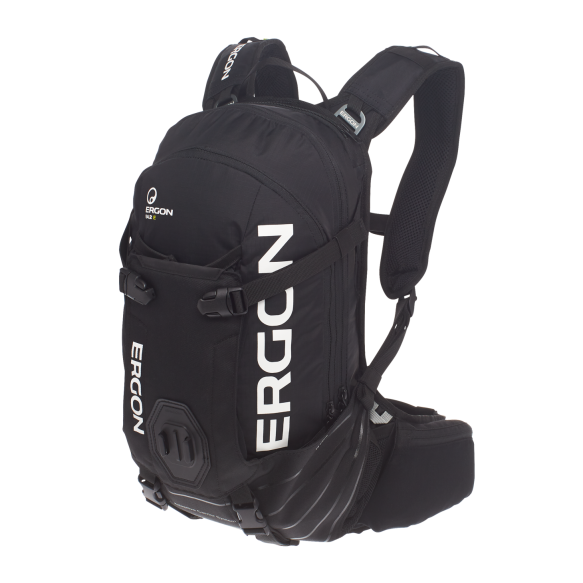 With a 3-liter hydration bladder, organized storage compartments and integrated back protector, the BA2 and BA3 are full-blown All-Mountain backpacks with excellent fit and load compression that renders the load unnoticeable. The BA2 E offers an extra feature for all E-MTB fans. Range is the holy grail for E-mountain bikers and thanks to the battery storage compartment in the BA2 E, you can effectively double the riding range by carrying a second battery. The spare battery is carried safely and comfortably on every mountain and on every trail. Additional compartments provide ample storage space for tools, pump, spare parts and energy bars. An added bonus feature is the ability to cleanly cut and shorten the hip belt for those who prefer a tighter fit. For fans of action cams, the BA2 / E Protect comes standard with a rear-facing camera mount on the helmet holder. The Sport Camera Chest Mount is an optional accessory for the chest. * The BA2 E Protect and BA3 E Protect are NOT available in the USA and Canada. Uphill Chill. Downhill Thrill.The All-Mountain Series. Uphill Chill. 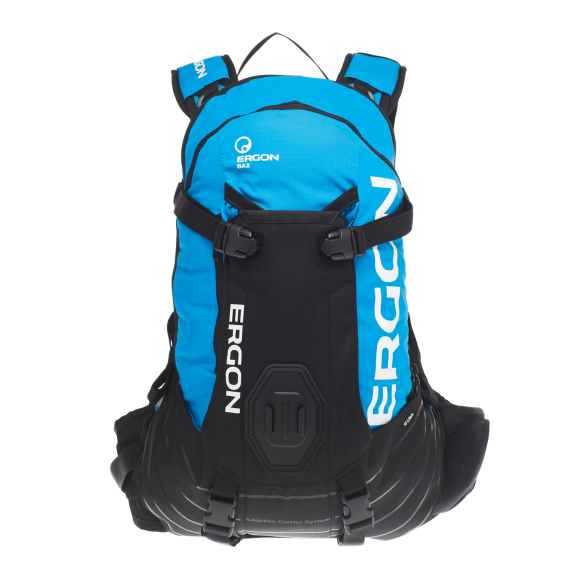 Downhill Thrill.Ergon SMA3 All-Mountain Series.